1. READY MADE PANEL DRAPES - Includes 2 panels per package of 48" W | Covering a total area of 95" W that will completely cover as a Fabric. Fabric is with 260 GSM, Means the Weight of the Fabric will be 260 Grams per Square Metre. Please Order Extra Curtains from your Total Covering Area to Have more layers in Fall of the Curtains to look Better. 2. 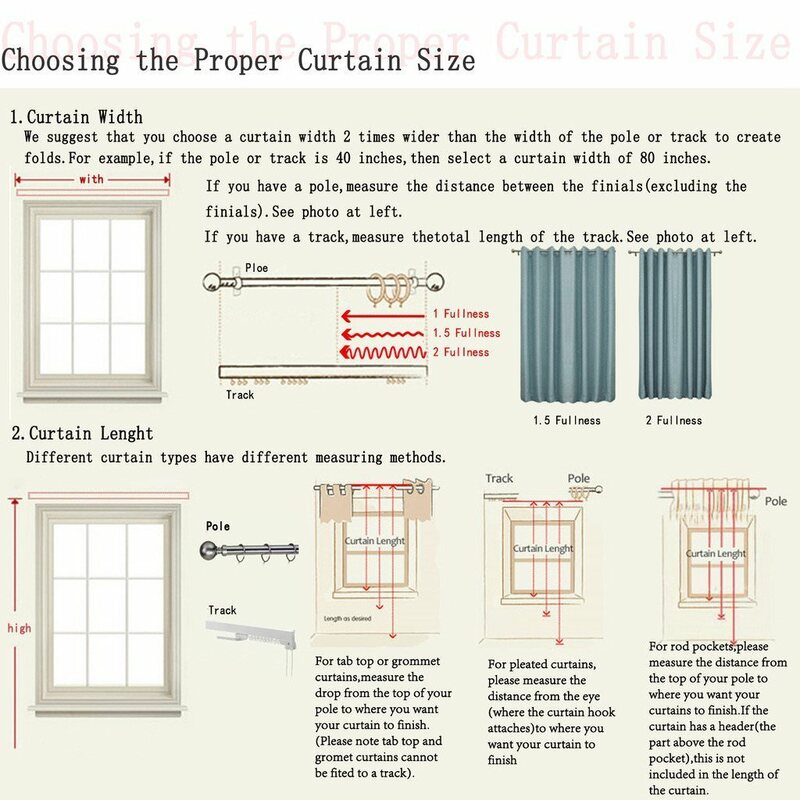 First Image gives you an idea about the Look of the Curtain, Second image gives a Detailed Description about Fabric and Color, Third image is about the Colors that we have followed by Curtain Size Guide and Grommets Details. Note: We are not Providing Curtains Tie Knots with this Package. Color is Same on Both Side of the Fabric. 3.LIGHT ABSORPTION, NOISE REDUCTION AND ENERGY EFFICIENT - 1. Block out 88% of the light, with darker colors reaching a remarkable 98%. Block out 99% of the UV rays, too. 2. Filter and reduce approximately 60% of the noise. 3. Insulating your windows, preventing hot or cold temperature loss. -> Experience Set of 2 silence, darkness, and beauty of one-of-a-kind American-Elm Beige Room Darkening Curtains, Curtain Fabric is in soothing Shining - a collection of energy-saving window panels that deliver both fashion and function for the home. -> American-Elm curtains are designed to block out over 90-95 percent of light and reduce unwanted noise at a certain level. The magic is in the Thermaweave construction. The innovative triple-weave is designed to provide all of the light-blocking, noise reducing and energy saving benefits you desire, without comprising style._ Whether you are looking to enhance your existing decor or going for a complete room makeover, these chic panels are versatile enough to enhance any space. -> Put Eclipse Fresno Thermaweave panels to work anywhere in your home. Hang them in your living room for better TV viewing or in the nursery or kids' room to keep out unwanted light and noise. These panels provide the ultimate in blackout performance and help to lower heating and cooling costs in your home. hang two or more window panels on a standard or decorative rod for optimal coverage. ->Available in 38 Colors, Please select the Color as per your Choice. Panels sold separately and measure 48-inch wide and height is as per your choice. Rods sold separately. ->100-percent Polyester. Machine wash, tumble dry, do not bleach. Imported. The fabric is in Shiny Texture with 260 GSM. Means the Weight of the Fabric will be 260 Grams per Square Metre. Please Note Though all Glorious curtains are blackout curtains and block 95% light still if you more concerned about Blocking Light please select Dark Colors, Dark Color will Block 95-99% Sun Light.